A heavy duty spray coating for the protection of propellers and outdrives. Hempel is the new name of the famous British brand Blakes Paints; the name change happened in January 2011. 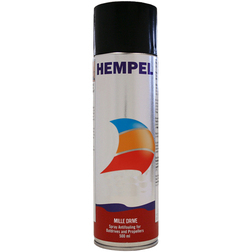 This aerosol spray is designed to protect propellers and outdrives, and once applied protects from foreign matter build up which may occur whilst the equipment is underwater. Antifouling, or bottom painting, is an important task that helps maintain your boat and can aid in the prevention of osmosis. 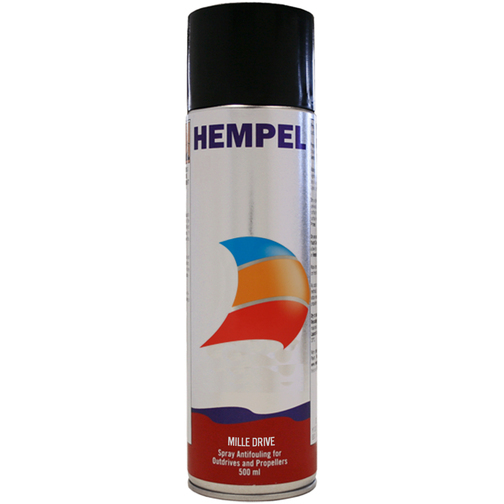 Antifoul paint is specially designed to erode away gradually while the boat is moving through the water washing away foul matter like algae and mussels that attach themselves to your boat whilst it is moored up. 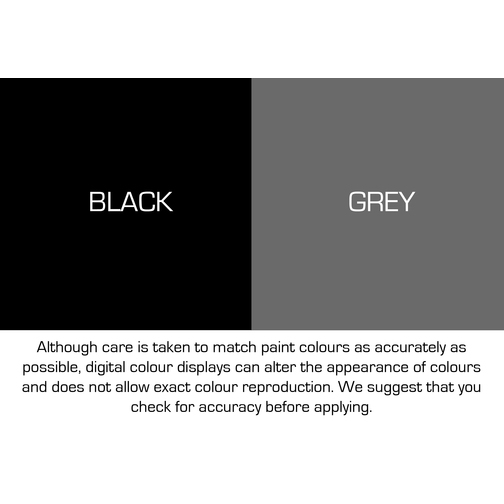 Please note: Although care is taken to match paint colours as accurately as possible, digital colour displays can alter the appearance of colours and does not allow exact colour reproduction. We cannot accept returns of open spray cans.